I turned the game off in the first quarter. Nobody tell me how it ended, this team disgusts…THEY DID WHAT? 35 to 18? No way. You’re lying. What’s that? I’m arguing with myself? Good, I automatically win. I’m going to do what Rodgers did and ignore the entire first quarter. It may be too early to say that he is back 100%, but the final 3 quarters of the game were 100% convincing that it’s about 90% possible. Break that down into 10’s, carry the 1, protract the angle of half of pi, and he had a vintage playoff performance. His stats weren’t groundbreaking, and 210 yards hardly seems like a great day, but he led the offense back to relevance. 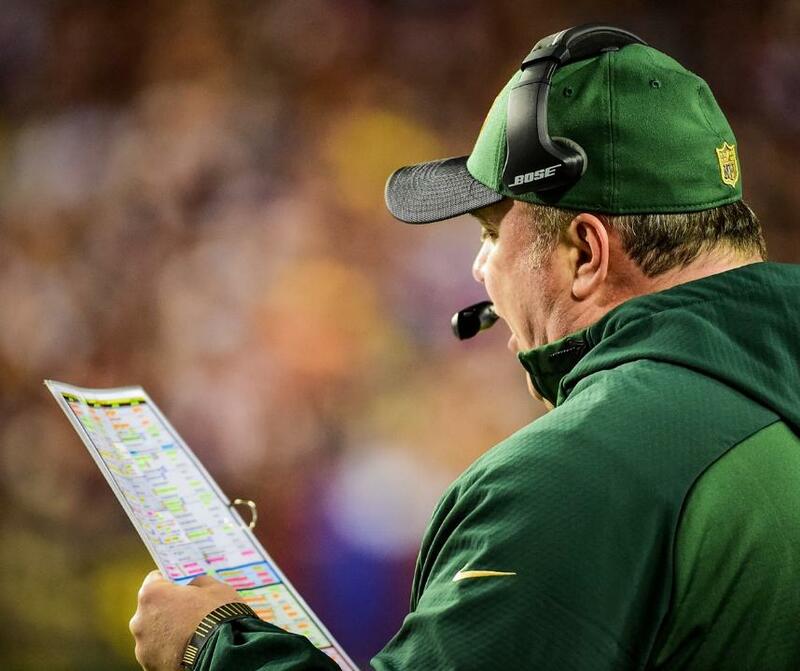 It’s been said that you have to throw yourself out of a slump, and since Mike McCarthy likes to put his running backs away from the end of the first quarter until the 4 minute mark of the 4th, Rodgers had plenty of slumpbusting opportunities. And that smile? So endearing. I want to introduce him to my parents and take him to the Enchantment Under the Sea dance. At this point it is obvious that McCarthy is the best coach in the NFL when he shuts up and lets Aaron Rodgers do the work. Those two are like the father and son in any 1980’s After School Special. Rodgers is the rebellious son who just wants to throw the ball, playing fast and loose with the limits of his father’s patience. McCarthy is the brow beaten single father, who works hard to provide a stable and loving home environment for his children but is completely ignored and whose rules are constantly broken. Rodgers just wants to tinker with his ’67 Nova, but McCarthy wants him to do his homework, get better friends, straighten up, and fly right. If this were a real After School Special, McCarthy would be played by Norm from Cheers and Rodgers would be played by Luke Perry. Anyway, McCarthy is a wonderful coach when he gets out of his own way. He was able to do this for most of the game, and it paid off handsomely. Impressively above average game from this group. James Jones continues to figure out ways to catch passes when he can’t get open (spoiler alert, he can never get open). Rodgers loves to throw the ball his way, and to his credit, Jones figures out how to get to it. Sometimes it looks like he’s using a TomTom set on 2003 satellite readings, but he usually finds it. Davante Adams had his best game of the season before Richard Rodgers did a reverse Cobra Kai on his knee. It’s clear that his ankle has gotten much better over the past few weeks. He has broken tackles and gotten yards after the catch, which is a nice alternative to what Packers receivers have been doing most of the season. If his knee is okay and he’s able to run, there may be some value in running creatively drawn up wide receiver screens to him against a very aggressive Cardinals defense on Saturday. Jared Abbrederis gave the team a lift after Adams left the game. 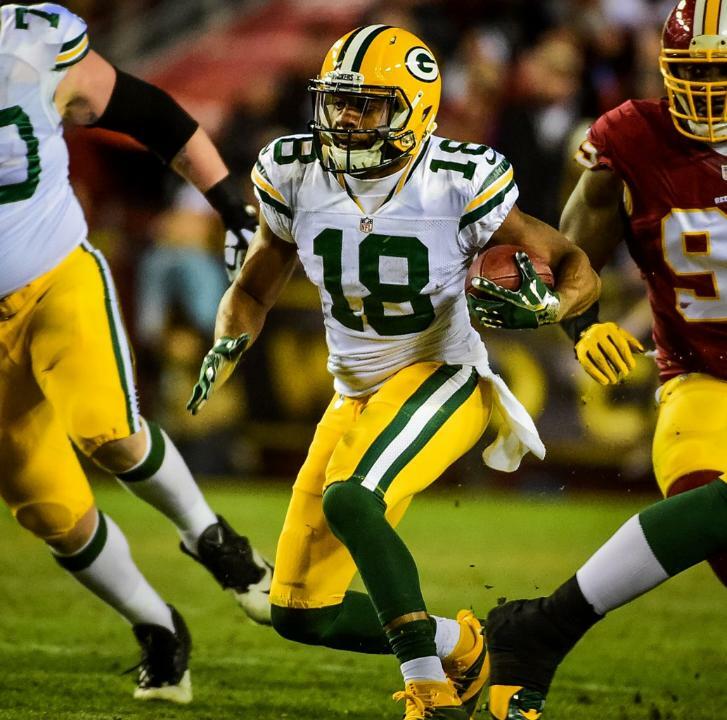 He runs clean, crisp routes, which is a hallmark of an Aaron Rodgers endorsed wide receiver. The 2 point conversion to Abbrederis was a thing of beauty. 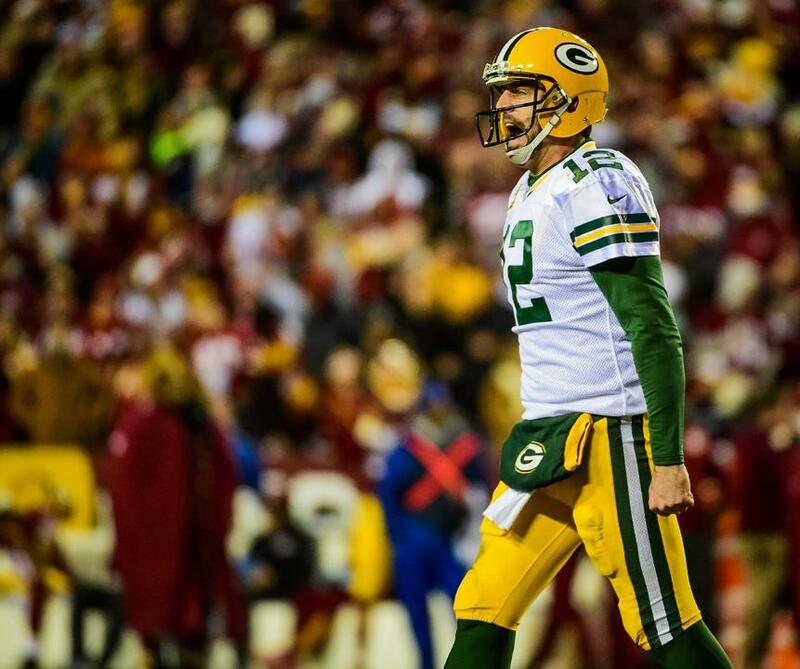 It was a perfectly executed delayed slant route, and Rodgers found him with ease. It’s no wonder Rodgers has been lobbying for more playing time on his behalf. I feel like I’ve run out of superlatives to describe the front 7 of the Packers defense. It’s like beating a dead horse, which Mike Daniels then eats. 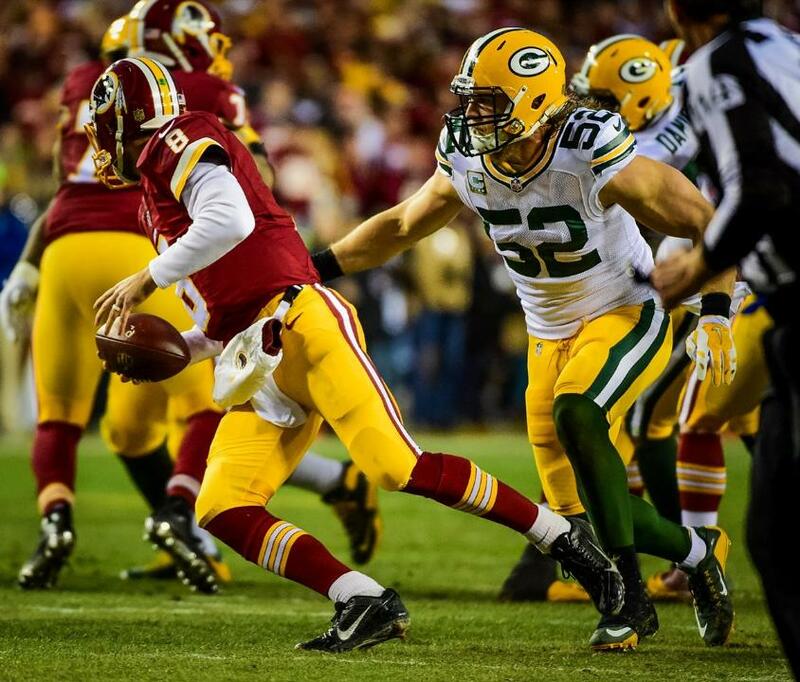 Daniels, Mike Neal, Clay Mathews, BJ Raji, Datone Jones, Letroy Guion, Julius Peppers, take your pick–any and all of them can beat their guy one on one or disrupt things enough to create chaos. The rookie cornerbacks did a great job on Desean Jackson and Pierre Garcon. They were able to make a few catches, and Jackson almost scored a touchdown, but overall they were held in check for most of the game. Damarious Randall and Quinten Rollins have the potential to be a duo that could rival the best in the NFL. 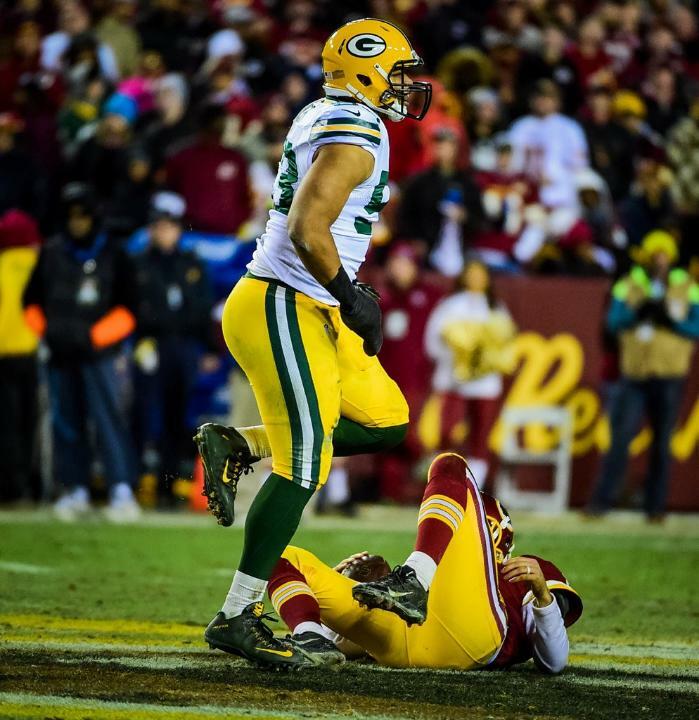 Jordan Reed ate Micah Hyde for dinner. But that’s not all on Hyde. Reed is a premier tight end, and it’s difficult for most safeties to cover him. When Hyde had help over the top, Reed was contained much more tightly. PUT THAT PHRASE TO BED NOW, FOR THE LOVE OF TUNA. A rematch with the bully that took the Packers lunch money then made out with their sister in the quad. 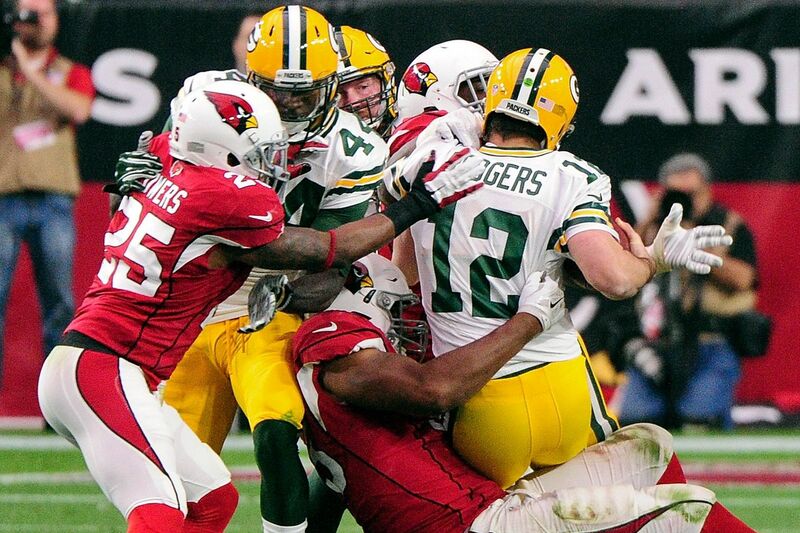 Green Bay travels back to Arizona to make right what once went wrong.